Our Railcar Management System (RMS) is a web-based rail shipment tracking and fleet management system. It is designed for the rail shipper / receiver whose traffic is growing to a level where railroad websites and spreadsheets are too time consuming. RMS increases your visibility, simplifies your job and saves you time by providing real-time data from more than 550 railroads. With RMS, you’ll be able to track your rail cars at every step of the journey, with flexible custom reporting and exception management capabilities. RMS calculates individual railcar shipments and highlights problem areas, so you can reduce down time and increase productivity. Shedding Light On The Art Of Tracking Railcars. Read our latest posts. 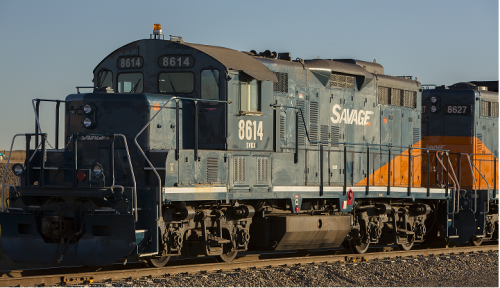 Now a division of Savage Services Corporation, the Railcar Tracking Company team celebrates 20 years of developing, selling and supporting Railcar Management System! If you are using multiple railroad websites and spreadsheets to track your railcars, contact us today for a demonstration or to start your free 30 day trial.